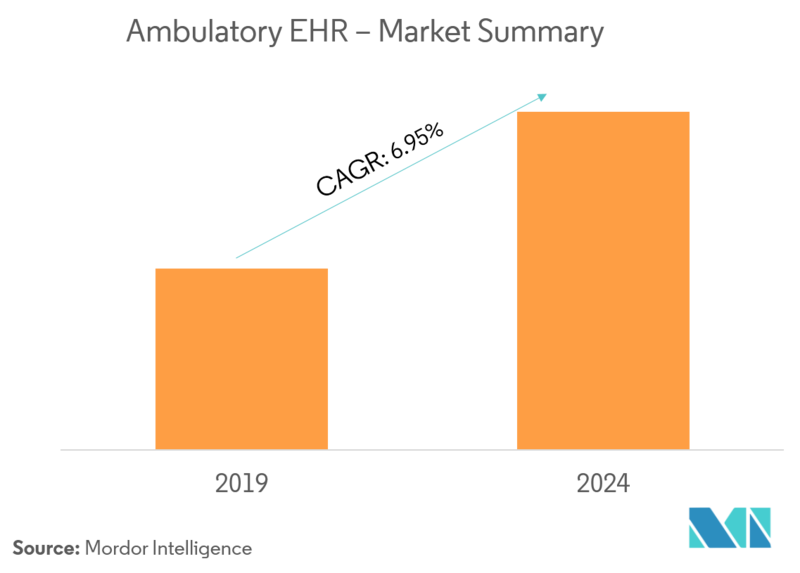 The factors propelling the growth of the ambulatory EHR market include the rising adoption of EHR solutions in developed markets, increasing need for fluid movement of healthcare information and technological advancements, and government initiatives to maintain and enhance patient health record portals. In the past decade, it was observed that paper-based records were being phased out at a rapid pace, with digitization and virtualization creating multiple growth opportunities for the better management of patient records across the chain of hospitals and research centers in healthcare. Thus, there has been increasing adoption by multiple healthcare centers across the developed markets, which was found to be one of the major drivers of the market studied. 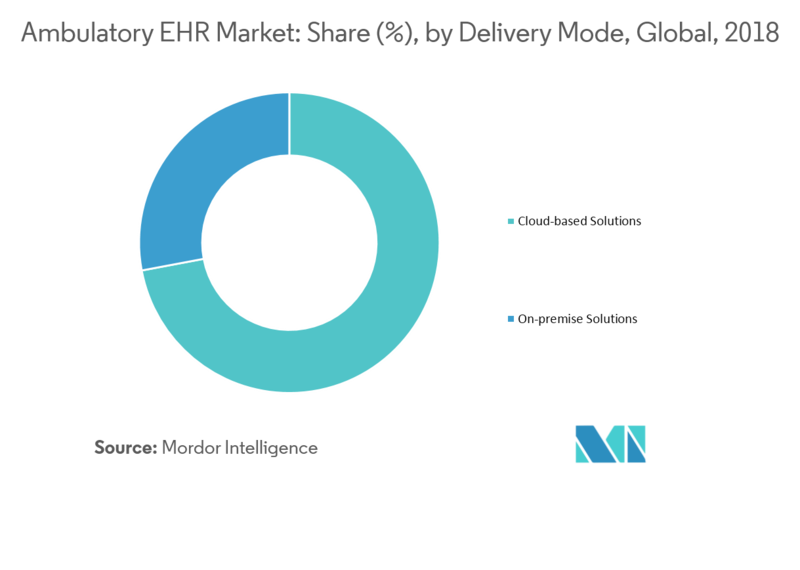 The use of ambulatory EHR has been beneficial across several developed markets in Europe, East Asia, and North America, in recent years. 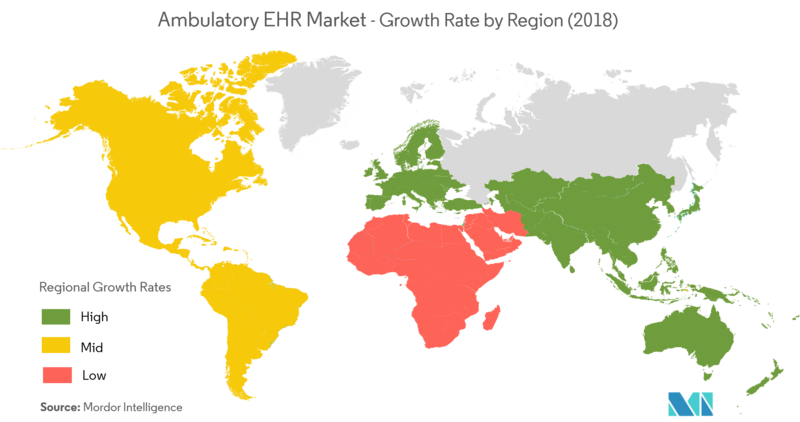 Some countries in Europe and Asia-Pacific, such as Demark, England, Finland, the Netherlands, and New Zealand, have consistently shown high usage of ambulatory EHR. There are also increasing investments being made by governments to maintain and enhance patient health record portals. The federal government in the United States has made several investments to transform the US healthcare industry into the electronic age. As per the scope of the report, ambulatory care involves patients who do not stay overnight for disease treatment in any healthcare setting. EHR is a patient’s record that helps authorized users to securely access the available information about the patient. The information on EHR can be shared across different healthcare settings through a network connected systems, which allows physicians to take better decisions and provide improved coordinated care for patients. The EHR developed for ambulatory services are simpler than inpatient EHRs, as they deal with a single practice and its patients, and are used in outpatient care facilities and smaller practices. The cloud-based solutions segment is expected to occupy a large share, due to its cost-effective services and advantages of user-friendly software models. Patient information is stored and managed using these cloud-based electronic health records, making them more secure. It also allows physicians and medical practitioners to control access to sensitive information. On-premise storage has also evolved over the past several years. These systems require the installation of specific hardware and software. Therefore, cloud-based solutions are the most commonly adopted solutions, since these are much cheaper, as compared to on-premise solutions. Asia-Pacific is expected to be the fastest-growing region, due to high investments by governments, non-profit entities, and the private sector, in EHR systems. The factors responsible for the growth include the growing ageing population and rising incidences of chronic diseases in various countries, such as India and China. In addition, the region has a better hospital network and training programs that increase the presence of general practitioners and ambulatory care services. 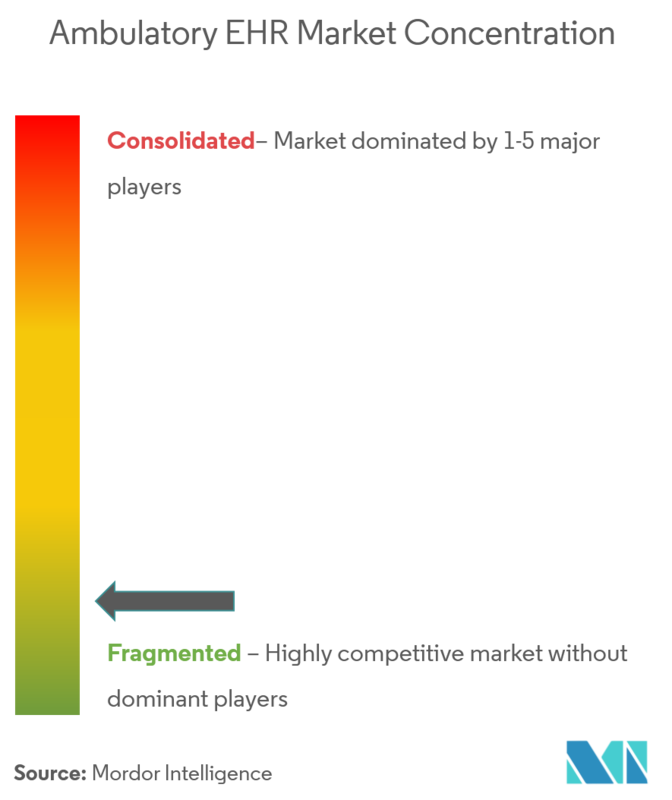 Most of the companies present in the market are efficient at the technological front, but require significant support for enhancing their services and expanding their businesses. Thus, mergers and acquisitions offer significant opportunities to gain the attention of a large number of providers and hospitals across developed regions. 6.1.1 Allscripts Healthcare Solutions Inc.
6.1.2 Aprima Medical Software Inc.
6.1.9 Medical Information Technology Inc.